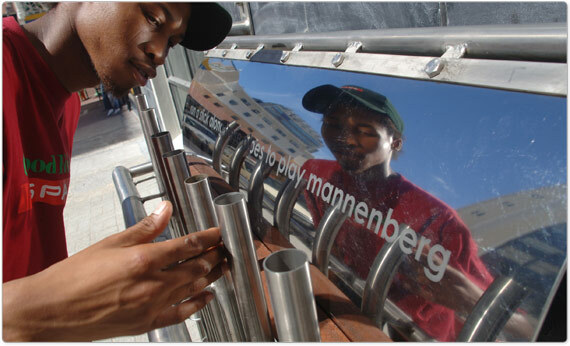 A passer-by on Bloem Street in Cape Town runs his fingers along the musical memorial created by artists Mark O’Donovan and Francois Venter in celebration of the legendary jazz anthem, Mannenberg. In June 1974, Abdullah Ibrahim, with Robbie Jansen, Basil Coetzee, Monty Weber, Morris Goldberg and Paul Michaels, was recording here at the old UCA recording studio under the watchful eye of producer Rashid Vally. In a moment of inspiration, Mannenberg was born. 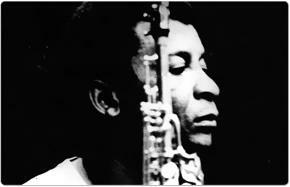 "There was magic in the studio that day," says saxophonist Jansen. Recorded against a backdrop of forced removals as the apartheid government finalised its destruction of District Six and evicted coloured families from homes throughout the city, the title track fused Cape jazz with African marabi to produce a melody that became a beloved anthem of hope and resistance for many South Africans. These extracts highlight the role that Cape Town jazz musicians Abdullah Ibrahim, Basil Coetzee and Robbie Jansen played in boosting morale during a dark time. Somewhere between Bazil Coetzee’s childhood penny-whistling and Abdullah Ibrahim’s highbrow intellectual jazz, a new sound was born. When Mannenberg’s creators first tried to sell the tune to producers in Johannesburg, nobody was interested. They went ahead and made demo copies themselves, which they sold over the counter at Rashid Vally’s cult record store. To give a sense of the atmosphere that prevailed in Cape Town at the time Mannenberg was composed, our archive offers oral testimonies and reports from a time in which families were torn apart and neighbourhoods destroyed. Named after a Cape Flats suburb (though spelt differently), the ecletic jazz tune, Mannenberg, became an anthem for the freedom struggle, generating solidarity in the dying decades of apartheid. Musical memorial gets people playing, writes Bobby Brown. This interview with Abdullah Ibrahim taps into the musings of a man not usually given to many words. Mark O’Donovan is a qualified electrical engineer and the founding director of the Odd Enjinears, an outfit that makes ’music machines’. The two artists tuned seven pipes to correspond with the opening notes of Mannenberg, with a sound audible enough to survive the outdoor noise.